This is one of my favorite Budo quotes, describing the optimal mindset for fighting/self defense. One must keep the mind calm and the spirit strong, however the mind must not be carried away by the spirit and vice versa. The other day in class, during a timing drill I mentioned the importance of this mental mode in order to apply techniques effectively. Michael asked me after class, “how do we develop this kind of mental mode?” The answer is complex, some people are innately more calm under pressure, and some people naturally have a stronger spirit, but karate gives us tools to develop those attributes. There is no magic, but rather a process that is already built in to our training method. Hard training makes confidence, confidence allows for stable emotions. Mind like ice means stable emotions. When we train hard, we develop confidence in our technique’s effectiveness, and confidence makes stable emotion. Feet make top technique, action from feet, feet are the “boss”. 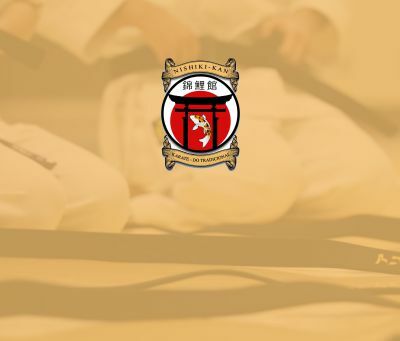 Through kata and basics, we learn to initiate any action from the feet and to allow the feet to “make decisions.” We follow the opponent’s rhythm with the feet, react with the feet, fake with the feet, and seize the moment with the feet. So rather than our brain making decisions, the feet do, preventing over-information, hesitation and doubt, which in turn allows for stable emotions. Of course the feet cannot actually make decisions, but allowing the feet to react allows us to trust our feeling, intuition, and experience. The brain is engaged but is not over analyzing and interfering which would block us from seeing information and subtle cues that are hard to see if we get stuck in details. If a person does not have the skill of making the movement from the ground up, we cannot even begin to talk about reacting from the feet or the feet “making decisions”. Making action from the feet is a very physical skill that sets the optimal mental mode. Breath from low abdominals controls the body center and maximizes ground reaction forces by applying pressure and twisting to the ground. Our main power is from the body center by means of body dynamics and internal muscles action, but this power is only effective when ground reaction forces are maximized. At an advanced level, there is only breath and intention. All the details will happen by themselves, leaving our brain free from those details that keep us busy as beginners. In addition, the breath from the body center interacts with the feet to maximize use of ground reaction. It is really the breath that initiates the feet and allows the feet to be the “boss.” It is the breath that makes reaction and initiates our techniques. If the breath rises to the chest, we cannot controls our body center or feet. This happens when we are over excited and lose stable emotions, but in if we can keep the breath in the center it allows us to keep stable emotions and remain mentally as well as physically centered. It is through basic training and gradual increase of stimuli in kumite that we learn to keep our breath in the center, and our body center as the decision center. Eyes back, is a postural direction, which has both mental and physical implications. Mentally it allows the eyes to “monitor” and “observe”, so the brain is in a “wide perception” mode rather than “narrow focus” mode. This mode allows the mind to be like “ice”, emotionally stable and calm. It also allows us to give everything to the technique, to have “no mind in the technique”, avoiding the alternative of holding back or hesitating. Strong spirit has to be distinguished from emotions, it is will-power, determination, and commiting, giving everything in each action. Being able to give everything in a technique is both a mental and physical attribute. It takes specific training to teach the nervous system to recruit maximum motor units in shortest time. In order to achieve that we need some periods of maximal speed and intensity training. We have to teach the muscles to relax in order to achieve maximal contraction, the goal is maximal rate and range of muscles contraction relaxation. Optimal form, posture, and alignment are crucial to preventing injuries as we develop higher intensity. It is when we give all the breath that we are giving everything mentally and physically. When we practice basic techniques we teach the whole body to cooperate to one purpose, but at the same time by coordinating the intention and breath with the outer action and muscles action we learn to give our mind away, to not hold back anything in our technique. Learning to have our full intention, breath and muscles 100 %, is much harder than just coordinating the body. 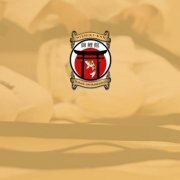 Sensei Nishiyama used to persist on giving 100% in every technique, if you train one hour or five, six hours. If you train many hours, obviously not all your techniques will be explosive, but even when you go slow, there should be full intention and purpose in every action. Becoming sloppy will make your spirit weak, while being present will develop a strong spirit. I also believe that training hard and never giving up, overcoming whatever obstacles life puts in front of us, is a big part in developing this spirit. I believe in giving everything, in the right moment, regardless of outcome.